The African Union (AU) should call on the South African authorities to provide a long-term security guarantee for refugees, migrants and asylum seekers living in the country, Amnesty International and other 12 civil society organisations said today at a side event during the AU summit underway in Pretoria and Johannesburg. The 25th Ordinary Session of the AU takes place against the backdrop of continuing xenophobic attacks against foreign nationals living in the country by locals. “This is the moment for the AU to put pressure on the South African government to resolve the persistent occurrence of xenophobia in the country and ensure there is no impunity for the perpetrators. The AU must remind the government of its obligation to protect everyone living in its territory from violent attacks, regardless of their status. Xenophobic attacks must end,” said Noel Kututwa, Amnesty International’s Deputy Director for Southern Africa Region. The country has a long history of xenophobic attacks against asylum seekers, refugees and migrants. In 2008, 62 people were killed and hundreds of thousands others left displaced in a spate of xenophobic attacks in the country. “In the same way that African leaders must hold each other to account for delivering on good governance and human rights, they are also accountable for protecting people within their borders. At this week’s African Union Summit, we are calling on the AU to help South Africa demonstrate its leadership in addressing xenophobia and protecting the rights of all, including refugees, immigrants and asylum seekers.” said Sipho Mthathi, Oxfam South Africa’s Executive Director. Since the beginning of 2015, the country saw a surge in targeted xenophobic violence against refugees, asylum-seekers, migrants and their businesses. Tensions worsened in March following controversial statement made by the Zulu Monarch King Goodwill Zwelithini at a public function, saying that “immigrants must take their bags and go where they came from”. There are at least five verified deaths of “foreign nationals” including of two Mozambicans, one Zimbabwean, one Ethiopian and one Bangladeshi. However there were reports of other deaths, which remain to be verified. Three South Africans also died in the violence.“There have been a number of careless comments from people in authority regarding the status of foreign nationals targeted during the attacks. The AU must reiterate that the rights to life and not to be tortured or treated in a cruel, inhuman or degrading manner are absolute. There can be no justification for violating these rights. The immigration status of foreign -nationals who are victims of the attacks in South Africa is therefore irrelevant.” said Kaajal Ramjathan-Keogh, Executive Director of SALC. 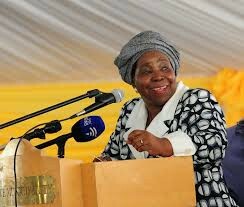 Following the March/April 2015 xenophobic attacks in South Africa, AU Commission Chairperson Dr Nkosazana Dlamini-Zuma condemned attacks on foreign nationals in KwaZulu Natal Province, describing the violence as “unacceptable”. The Peace and Security Council of the AU at its meeting of 30 April 2015 condemned xenophobia in all its forms and manifestations and stated that the incidents were part of larger, social, economic and political challenges facing the continent. Immediately end the attacks on foreign nationals in the country and put measures in place to ensure that it does not recur. Fully and transparently investigate the circumstances leading to the xenophobic attacks and other acts of violence perpetrated against foreign nationals. Ensure that all perpetrators of the attacks are brought to justice in accordance with the law. Take immediate steps to ratify and domesticate the African Union Convention for the Protection and Assistance of Internally Displaced Persons in Africa as well as make a declaration under the Protocol to the African Charter on Human and Peoples’ Rights on the Establishment of an African Court on Human and Peoples’ Rights that would allow direct access for individuals and Non-governmental Organisations to the Court.